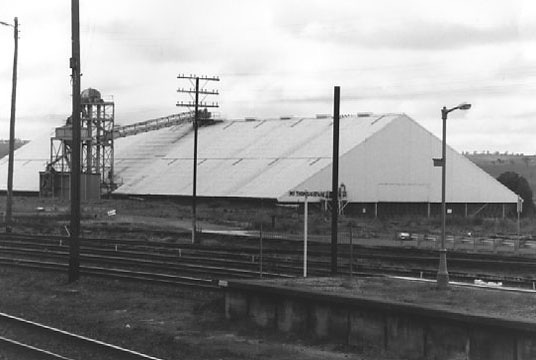 Large bulkhead, construction date and capacity unknown. Concrete silo type S027 Metcalf [2700 tonnes capacity] built in 1922. Located in town within sight of railway station. Concrete silo possibly an original S008 [800 tonnes] with extra bins added later. 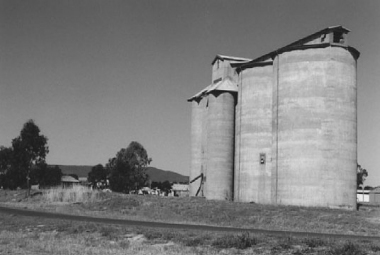 “Home of the Header” eg local museum houses the Hedley Taylor Header. 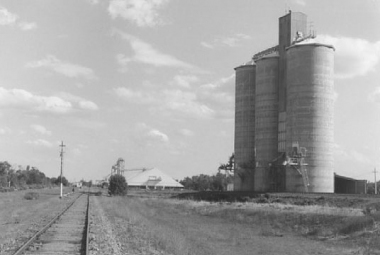 Henty hosts one of the largest Agriculural Field Days in NSW. Another grain facility outside of town has a bulkhead and on-ground [Bunker] storage. Tall concrete silo and large white bulkhead. 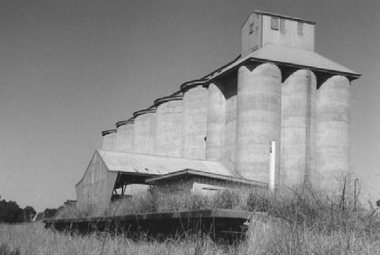 Construction dates and capacities unknown. 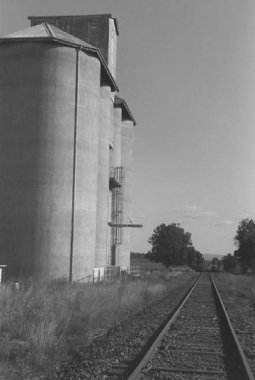 Concrete silo type S041 Metcalf [4100 tonnes] built in 1924. 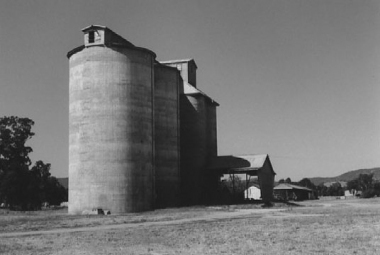 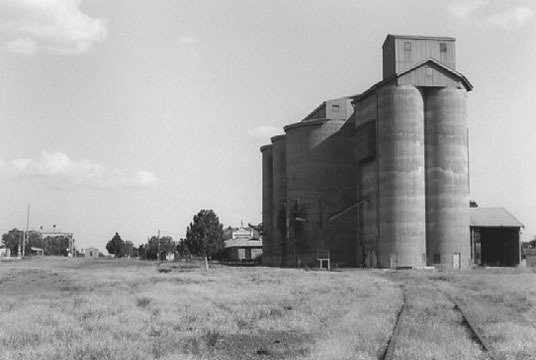 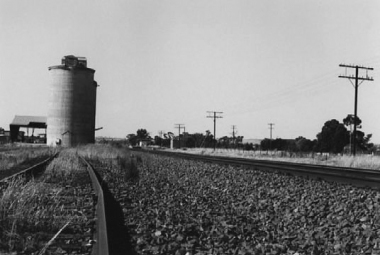 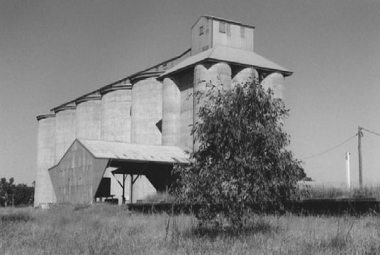 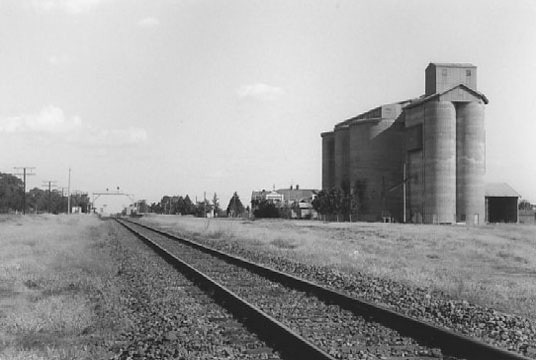 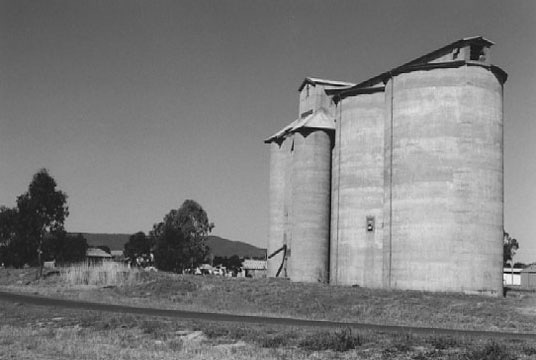 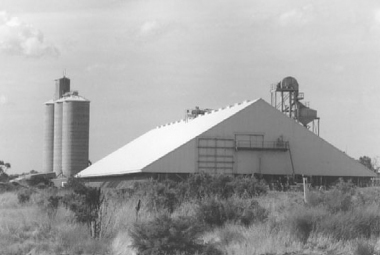 Extra bins added in 1955. 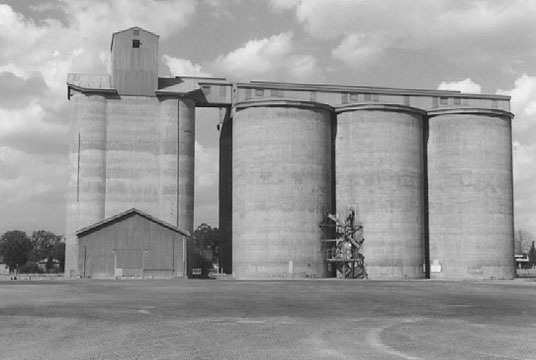 Decommissioned silo taken over by pigeons. 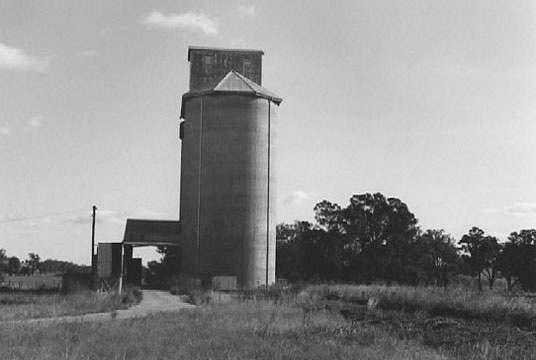 Original concrete silo type S024[2400 tonnes capacity] built in 1935. Extra bin added in 1941. 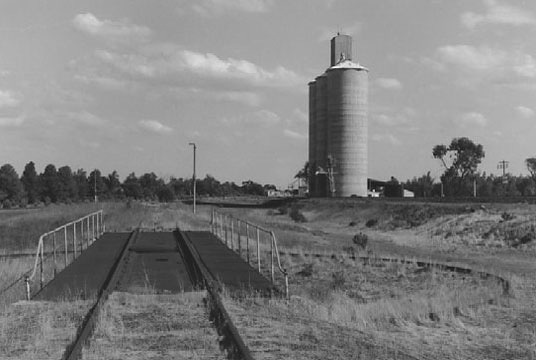 Culcaiarn to Corowa line; defunct. 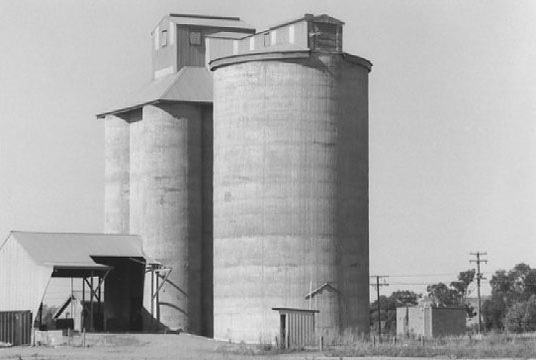 Concrete silo type S082 Metcalf [8200 tonnes capacity] built in 1920.